December 2, 2015 February 15, 2016 Steve B. Because we apparently don’t talk about this game enough, here’s a post dedicated to Hill Climb Racing‘s Ragnarok stage and finally figuring out how to get the Troll Master achievement. The idea behind getting the achievement is simple, but actually getting it is tough. You see, you need to “survive in the Ragnarok” and make it past the big pyramid shape and get to around 19500m. However, before you get there, you need to survive the 2nd troll finger around 17500m (there was another one earlier on). This is a long, deadly, nightmarish level where even the blue water is toxic and will kill you if you touch it. Getting a screenshot while getting the Troll Master achievement in the Ragnarok was not in the cards, so maybe next time. However, we figured that the next best thing would be to post a video of someone getting the Troll Master achievement using the Moonlander. Because of its hovering abilities, the Moonlander is probably the best vehicle to use for this achievement. Good luck! What vehicle did you use…? A quick way to earn coins is by getting the Race Car (300,000 Coins) and driving for long distances on the Highway stage. When fully upgraded, the Race Car is almost unstoppable. The only faults being the user making a mistake, gas running out, getting stuck or the character’s neck snapping. However, your device may run out of battery or the app may crash. While unlikely, they can happen. Please help me, I just want to get some easy money in the game, I’m currently standing on 261 165 coins and my main car is the race car, I want to save for the moonlander but its over a million coins, how can I get easy money to but the moonlander? Hi Stevo, there’s no real quick fix in this game but you can earn a lot of coins by going the distance on certain stages such as Highway stage or Desert and just collect coins. They’re easy stages that you can go very far on. You can also get decent coins on the Moon stage by getting a lot of Air Time, but harder to go far on that stage. Just enjoy the game and you’ll get there! 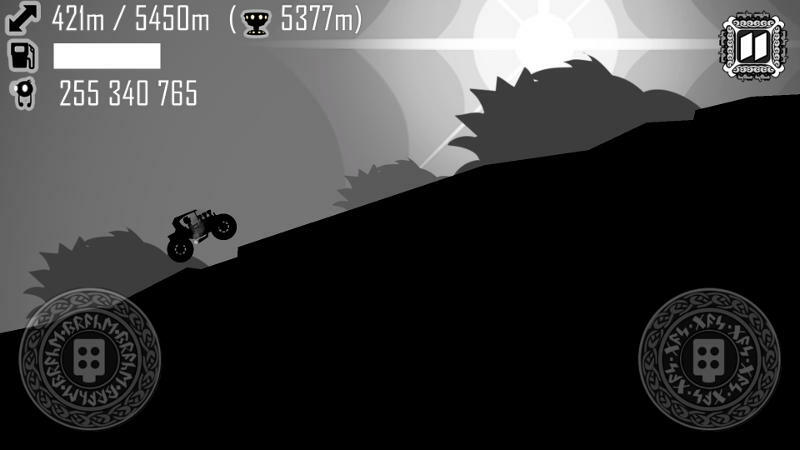 Moon stage with motor cross bike is indeed the best way to make money, every time I try I get 100,000 coins once I reach 759 m (which is usually when I lose) also it’s easy to do flips which makes progress in achievements quicker and getting money faster because each front and backflip is worth 1000 coins. I got the moonlander in 20 minutes from playing moon with the bike so thats my suggestion. Semi on the highway. Maxed out it is relatively easy to get 1-3 million per tour on the highway. 1 million at around 8,000, 2 at around 12, and three at 15k. Easy peasy. Also, the tank on moon. Maxed it should average 250,000 per game at around 1200m. The moon is all about maximum air time. If you are also collecting gems, try using the kiddie express on later games. i got 20km mileage and 2-3++million coins.